What Are Concentrates and How Many Kinds Are There? 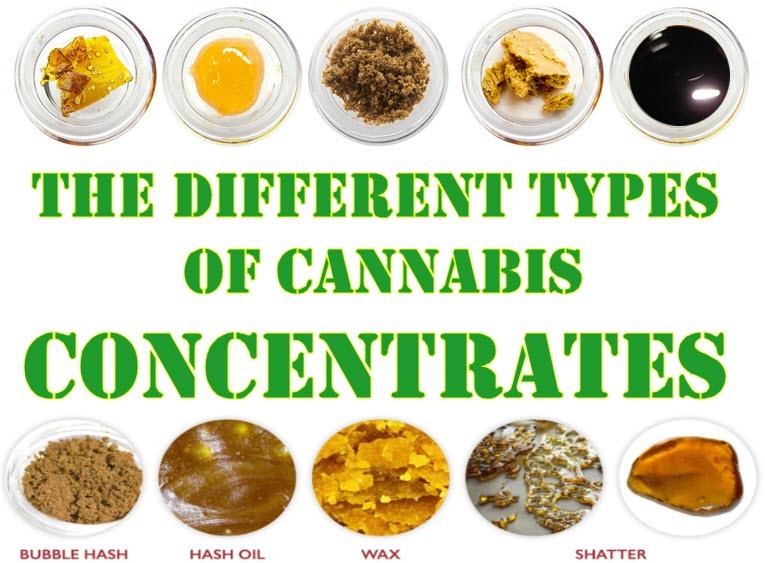 How well do you know your concentrates? Cannabis concentrates come in many different forms, shapes, and sizes. They all have one thing in common: they’re all sticky, although resin is usually very hard. The color of dabs can range from opaque to translucent, and consistencies can vary from crumble to hard shatter. The differences between concentrates typically depend on factors such as moisture, temperature changes, and physical agitation. Butane Hash Oil (extraction method), also known as BHO, is a kind of has oil that is extracted from cannabis through the use of butane. The most common forms of concentrate are made using the BHO process. There are many types of BHO’s out there depending on consistency; there are solid forms as well as oily. The BHO process extracts the cannabinoids, terpenes, waxes, concrete oils, and occasionally, chlorophyll from the plant itself. After the process, the butane is removed from the final product since it’s harmful to inhale. The BHO process is typically used by professionals for mass production; although it’s not recommended to make your own concentrates at home due to the fire hazards brought on by butane. Some people prefer PHO because it results in a consistency similar to that of budder, because propane extraction processes use much higher pressures, which will remove different ratios of oils and wax from the plants compared to the butane process. PHO can preserve more terpenes and remove residuals, depending on the cannabis strain that you use. Propane Hash Oil (extraction method) is similar to Butane Hash Oil (BHO). The main difference is that it uses propane instead of butane, hence the name. Nug run concentrates are favored by cannabis connoisseurs. These forms of extracts have more trichomes and terpenes than the actual cannabis plant which makes it rich in flavor and less harsh to smoke. CO2 are concentrates made from extractions that give you a liquid amber or golden concentrate, which are usually found in cartridges used for vape pens. The main benefit of using the CO2 method is that it’s much safer compared to butane or propane extraction methods. When the final product comes out, the CO2 oils don’t have any harmful residuals since the process itself is effective in killing any bacteria or mold that might have been present in the plant material. The disadvantage of CO2 concentrates is that its flavor profile isn’t as potent as BHO and PHO. Rosin technique (extraction method) is not suitable for mass production, but it’s a safer way to make your own concentrate at home. With the Rosin technique, you don’t need any solvents so you can easily dab without worrying about the butane content. This is ideal for users who want to be sure that their concentrates don’t have any solvents in it. Trim run is made using cannabis plant trimmings. 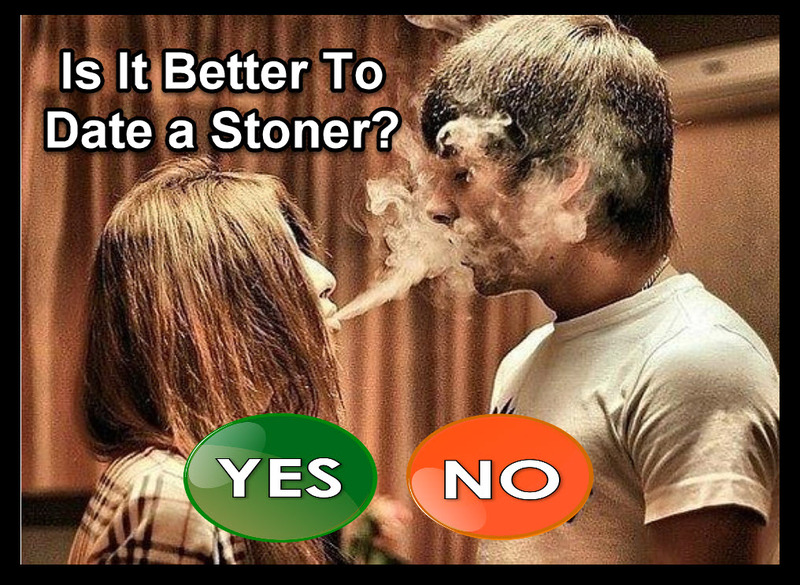 This is a good way to ensure that none of your cannabis plants are wasted. However, since it’s only made from the trimmings, these are less potent forms of concentrates so you’ll need to consume a lot of these if you intend to match the same kind of high that a full nug extract will give you. However, the downside of trim runs is that they usually contain more chlorophyll which isn’t exactly delicious, compared to concentrates that are made with the main cannabis plant parts. The benefit of trim run is that it can get you high at a cheaper price, so if you’re after the buzz instead of flavor, you may want to consider looking into trim runs. Live resin is one of the trendiest ways to dab these days. Making live resin uses frozen cannabis instead of cured plant material. The benefits of dabbing live resin is that it preserves more terpenes and THC that the curing process usually removes. This is why live resin has a more potent flavor and aroma compared to BHO made with dried cannabis. Several methods can effectively extract frozen buds, but the rosin technique is what gives you “Live Rosin”, which has a better and more powerful flavor profile compared to other kinds of concentrates. Oil is the most fluid kind of concentrate. Sometimes it can get so sticky and make the dabbing experience messy, and you’ll always need the right tools when consuming sap dabs. It can be tough to get oil off your hands. However, oils come in handy for moon rocks because its malleability makes it ideal for coating nugs or helping the kief stick together. Oily dabs should be stored in a non-stick silicone container. Additionally, oils are more suitable for use at home because it can leak or get messy if you travel with it. If you’re on the go, it’s just more convenient to take something more solid with you. Crumble is the driest kind of concentrate. Physically, it resembles crumbly cheese and it isn’t transparent like shatter. Crumble is pretty much oil that has ben agitated until it reaches a point of crystallization, which removes its translucent color. Crumble is best stored using parchment paper because if you force it into a glass or silicone container you’ll end up squishing it all up. No tools are needed for crumble, just break a piece off over folded parchment paper and drop it. Another way of using it is by removing a crumble piece and placing it on top of your bud before rolling it up to smoke in a joint or blunt. Sap is a sticky concentrate that is also more suitable for indoor use. If it isn’t too humid outside, you can also use sap outdoors. Sap is ideal for moon rocks too, and is easier to handle compared to oils. When using sap concentrates, you will always need tools since they’re not meant to be touched by your hand since heat from your skin can easily melt the sap. Dry sift (extraction method) is one of the finer forms of concentrates. It’s made using silk screens in varying sizes and microns that are used to isolate the trichome heads from the bud. Microns, which is a microscopic unit of measurement, is used to ensure that only the finest form of material ends up in the final product. Making dry sift is a complicated process which will give you much less yield, which makes it both highly coveted and rare. If you do end up finding dry sift, it won’t be cheap because of the painstaking method used to make it. Dry sift is highly sought after because among those who have tried it, they say that it has the best flavor profile since the process used is so effective in preserving the terpenes that give it such a delicious flavor and aroma. Dry sift is so different from other concentrates because it has a sand-like consistency and is soft. You don’t need a tool to pour out dry sift when dabbing with it. Ice water hash (extraction method) uses ice water extraction but produces a final product similar to dry sift. The difference in the method used from making dry sift is that with this type of concentrate, ice and water are used to agitate the trichome heads off the cannabis plant. Ice water hash can be made by hand or with the use of a washing machine, after which a filter will be needed to separate the material and water using screens with different microns. The screens are used to prevent any unwanted particles from ending up in the final product because it’s only after the glandular trichome heads. A metal strainer is used to break down the hash so that it can be cured once all moisture has been removed. Then the ice water hash is stored in an air-tight glass container for curing. Full melt (extraction method) can be made using either the dry sift or ice water hash method. With the full melt concentrate, no plant material at all makes it to the end product. A genuine form of full melt is made only out of isolated trichome heads, and zero residuals. It’s pretty much the best quality dry sift or bubble hash available. It gets its name from the fact that the concentrate will melt at even the slightest exposure to heat. Once you dab a full melt, there are no residuals left at all. This is what makes the full melt concentrate the product of choice for a dab connoisseur. Full melt concentrates are hard to find and if you do come across it, are usually very expensive since it’s regarded to be the highest quality concentrate in the world. Wax is type of concentrate that’s between a solid and liquid. It’s not hard enough to be called a solid, but it isn’t fluid either. Wax isn’t really a sight for sore eyes; in fact many refer to it as ear wax because that’s precisely what it resembles. Despite the lack of visual appeal, wax is a favorite for many users because it’s just so much easier to work with. Wax requires tools as well since handling with your hands will likely result in getting it all over the place. Budder is similar to wax, but it’s a little bit drier. The best way to describe budder is that when it comes to consistency, it’s between a wax and a crumble. Budder is versatile for use both indoors and outdoors, but it still requires the use of a tool. 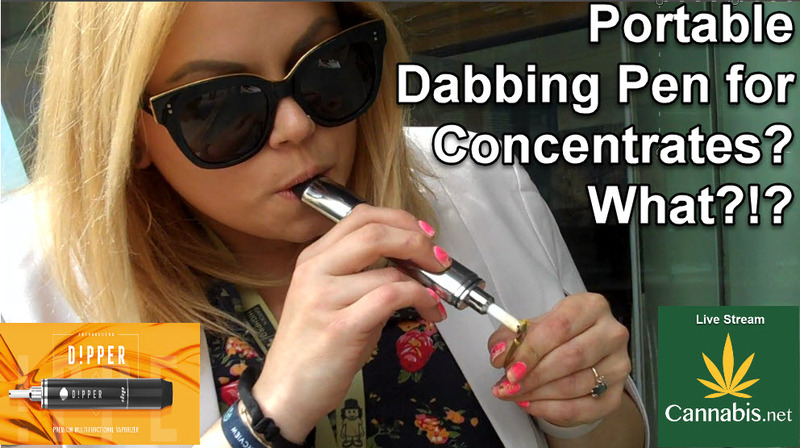 Shatter is perfect for dabbing wherever, whenever. It’s the most stable kind of concentrate; all you need to do is place it on some parchment, hit it with a blunt object and voila: you have shatter. Shatter is pretty versatile; there’s no need for a tool since you can easily use your hands to break a piece off and then put it on a nail. Most shatters are transparent in color and can be handled without having to deal with a messy aftermath. However, exposing shatter to heat, even room temperature, can cause shatter to become oil. If a concentrate is exposed to enough heat, it will decarboxylate permanently, so if you leave your shatter out in the heat it can turn to oil and it will never return to its original state. Pull and snap is kind of solid, but not a very stable form of cannabis concentrates. With pull and snap, you can touch and bend it; you can roll them into tiny balls for dabbing or you can create a line of dab to add to a blunt. Pull and snap is loved for its portability, and it’s also good for outdoor use. It can be stored in any kind of non-stick material. Pull and snap is flexible and versatile, which makes it appealing to dabbers of all levels. What’s your favorite kind of concentrate and why? Share with us in the comments below. VAPE PEN FOR CONCENTRATES? SAY WHAT, CLICK HERE. 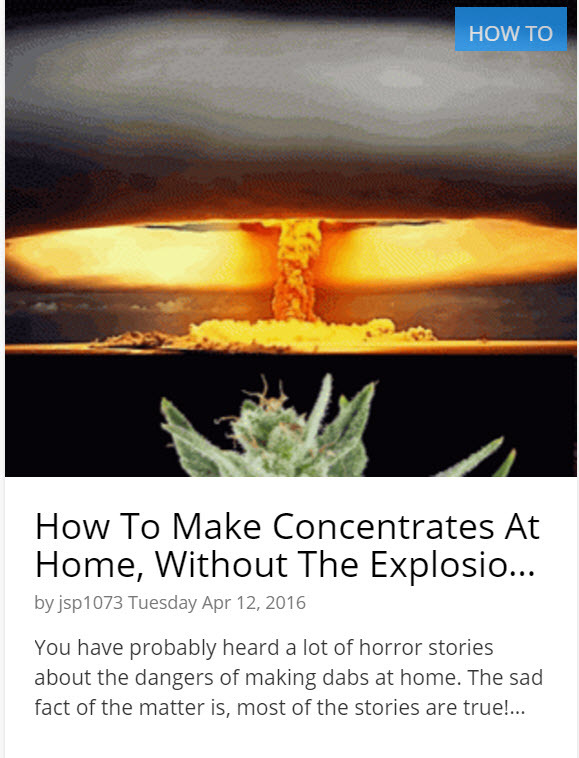 HOW TO MAKE CANNABIS CONCENTRATES, CLICK HERE. It’s the Big Game! Thirty-two NFL teams have battled for an entire season and it all comes down to this weekend. 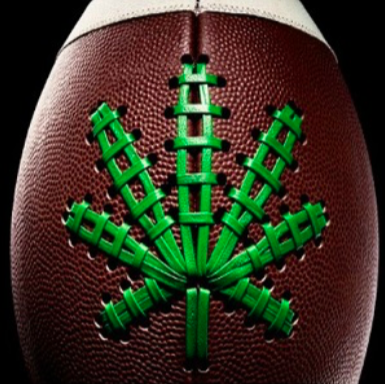 So how does the discerning stoner decide which team to root for? The Most Common “Organic” Pipes?